Viking Heating and Cooling is a new company focusing on homeowners who need heating and air conditioning repairs. 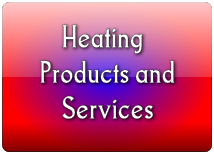 We specialize in the homeowners heating and cooling needs with every HVAC service we provide. 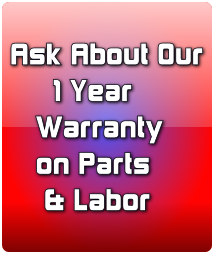 Starting with our FREE In-Home Estimates and exceptional customer service to our 1 year warranty on parts and labor, you are sure to be impressed on each heating and cooling call we respond to. Our qualified technicians are 100% committed to meet each homeowners needs whether it be installation, cleaning or heating and air conditioning repairs. Our goal is to find a solution which keeps your family comfortable in your home. Our heating and cooling technicians are qualified to identify air conditioning issues in your home which could become trouble spots in the future, thus saving you money and lowering your energy bills now. 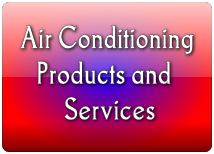 We are trained to repair every make and model of air conditioners and have plenty of new units to choose from if you need new installation. Our experienced HVAC service technicians are also trained to remedy your heating problems. Whether you need new furnace installation, repair or just a cleaning, our heating and air conditioning team will have your family warm in the winter months. Waiting too long could have you out in the cold. Give us a call today - don't delay! Viking Heating and Cooling offers a wide variety of indoor air quality products from duct cleaning to humidifiers. Our heating and air conditioning team is trained to diagnose and remove harmful indoor pollutants from your home. Removing these pollutants can decrease heating and air conditioning repairs and have your HVAC unit running optimally. We have two locations to serve homeowners who need heating and cooling repairs. One location is in Bloomington/Normal for our Central Illinois homeowners and the other location is in Huntley, IL for our Chicagoland customers. These locations give us access to any homeowners in need of Chicago heating and air conditioning repairs as well as Bloomington heating and cooling services. Please give us a call if you have any issues with your furnace or air conditioner and we will promptly have a technician at your house. Viking Heating and Cooling is working hard to become the go to company in Chicago and Central Illinois for heating and air conditioning repairs. Our heating and cooling experts are committed to 100% homeowner satisfaction on every job we are called to. We are building our reputation from the ground up and understand we are only as good as our last customer. Our technicians are on call for Emergency 24 hour service and are some of the hardest working, most reliable HVAC service team in the industry. 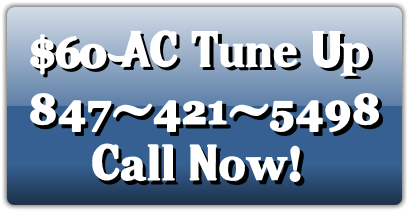 Give us a call for a FREE In-Home Estimate on any heating and air conditioning repair. After we beat your so called lowest estimate, you can witness our heating and cooling expertise first hand. Contact us today - you will be amazed at our work! Submit NOW for a FREE In-Home Estimate!